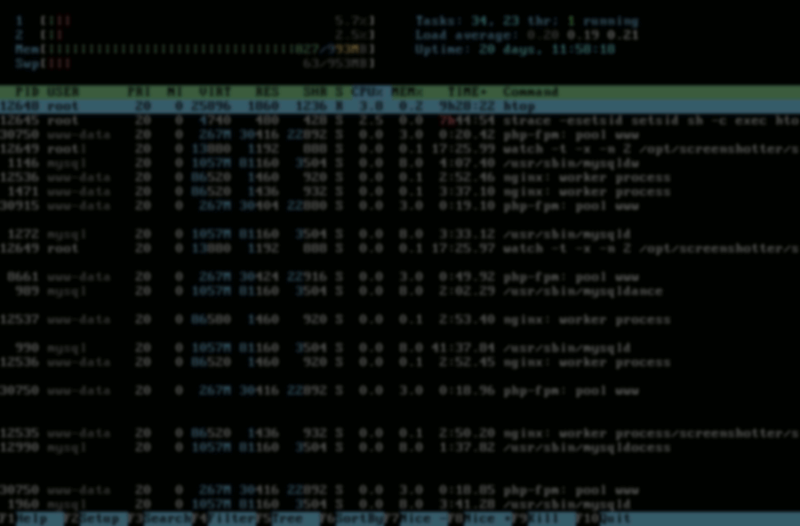 The latest releases in htop include delay accounting metrics for Linux, Solaris/Illumos/OpenIndiana and DragonFly BSD support, as well as other features and bugfixes. Check out the changelog for more details and credits! 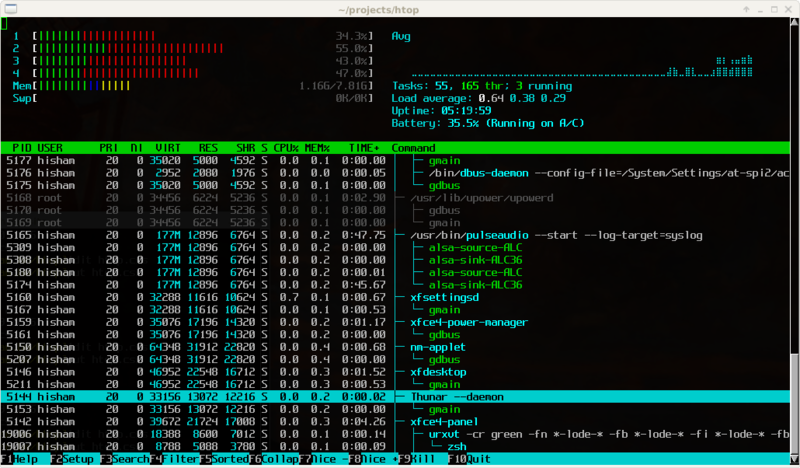 Since version 2.0, htop is now cross-platform! Check out the video and slides of my presentation at FOSDEM 2016 about how this came to be. This release includes code supporting Linux, FreeBSD, OpenBSD, DragonFly BSD and macOS.